Did you just say that we’re getting a pump? Yes. If you’re going to write about it, you need to know all of the facts. All of the other bloggers were convinced that I must have misunderstood Ypsomed Australia’s General Manager, James Mayjor. I was convinced that perhaps he was just leading me on. 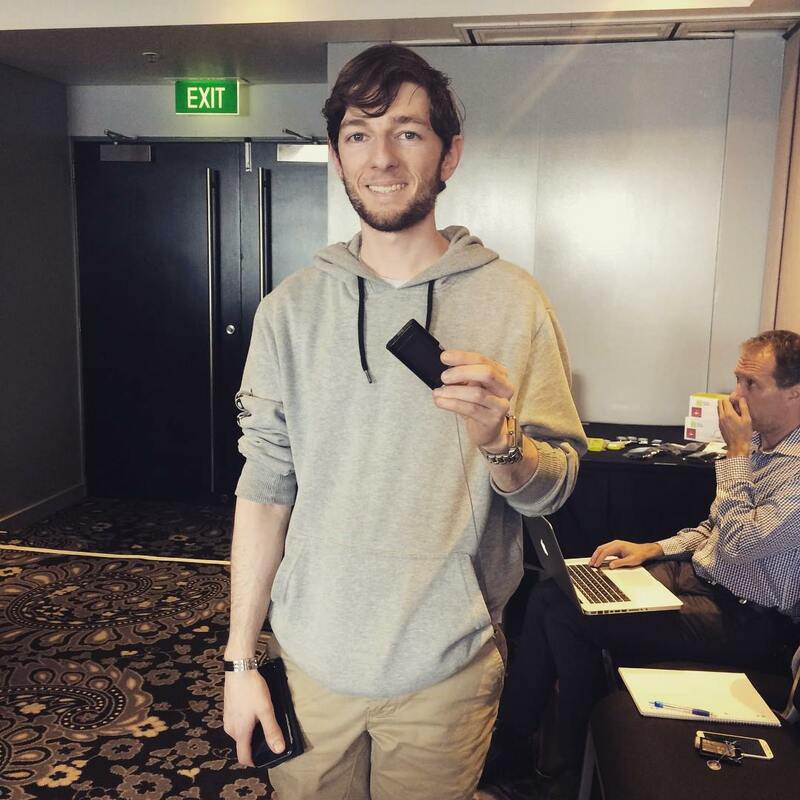 I walked away with the brand new YpsoPump, that officially launched in Australia today. Consumables are listed on the NDSS, meaning that Ypsopumpers will be able to access subsidised supplies just like any other pump. 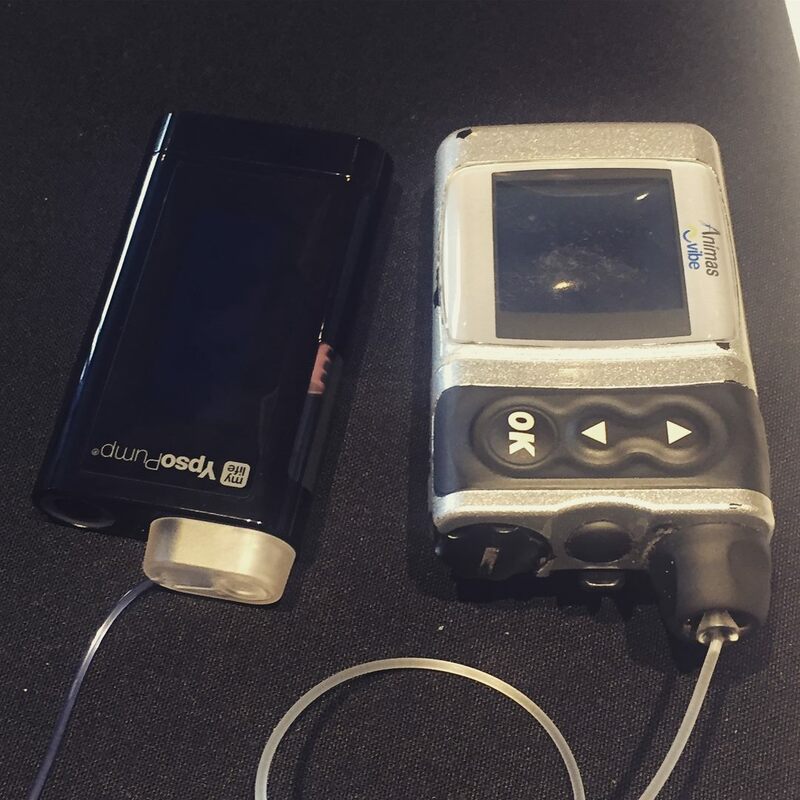 I believe that a large group of Diabetes Educators will also be coming to Sydney for pump training over the next two days, so if you are thinking of starting on the Ypsopump there’s a good chance you’ll be able to find a trained CDE near you. So, disclosures. My Life Diabetes Care covered my travel expenses and accommodation in Sydney to attend the launch of the Ypsopump. 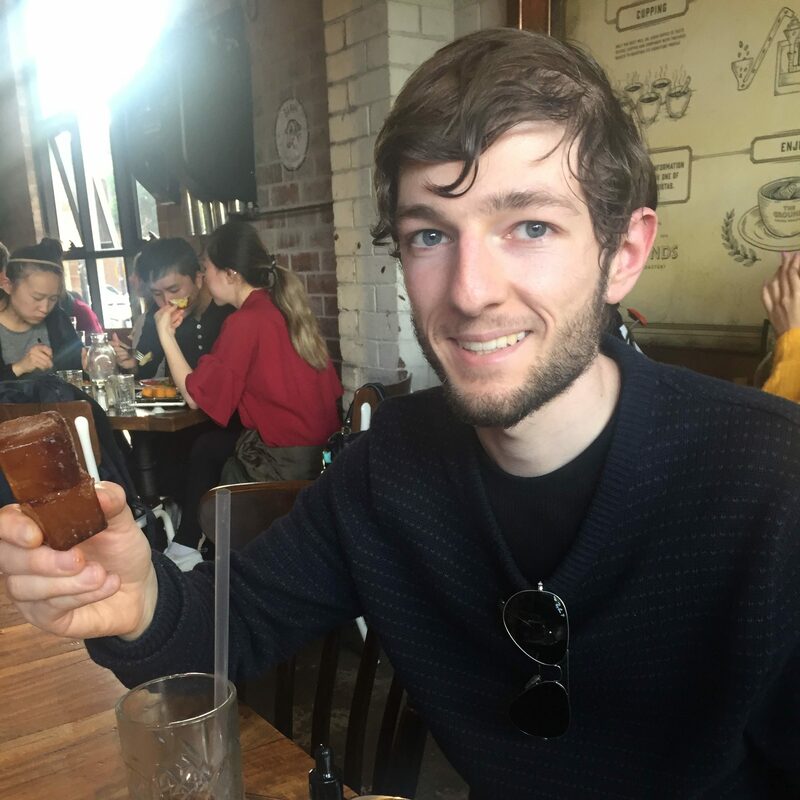 The team from My Life Diabetes Care kindly gave us a platform for the consumer voice to be heard, as well as hearing all sorts of crazy dinner conversations last night! If that wasn’t generous enough already, I was also given a Ypsopump, some infusion sets, reservoirs, pump cases and an inserter to trial. So before you read any further, there is a pretty big bias in place. However My Life Diabetes Care have not paid for my time or my words which are, as always, my own. First up, hooray for new pump choices in Australia! Secondly, I honestly cannot believe just how sleek and lightweight the Ypsopump is compared to my chunky Animas Vibe that’s looking increasingly like something from the last decade. The My Life Diabetes Care team did highlight that the Ypsopump had been designed to fill the gap in a market filled with complex, medical looking devices. I was also most impressed to hear about the My Life Diabetes Care portfolio of products, which included things like needles, pen injectors and blood glucose monitoring for people on Multiple Daily Injections and Structured Blood Glucose Monitoring. The tech is not for everyone, and offering choice to consumers is extremely important. The pump is touch screen, although not a full colour pump. The biggest difference to my late Vibe is that the bolus calculator is not contained in the pump itself, but rather done in the My Life Diabetes app. So, I would calculate my bolus in the app, and then administer the recommended dose using the pump. The pump then connects all of my insulin dosing data to the app via a Bluetooth connection. Infusion sets come in either steel or teflon, are available in a variety of lengths, and also have the option of manual insertion. Another noticeable difference for me compared to the Animas was the lack of a 45 degree angled cannula. If you hadn’t noticed my enthusiasm already, I obviously hooked up straight away. It’s still very early to draw any more conclusions, but I will have more to share in the coming weeks. For the time being, I’m more than happy to stow my late Animas Vibe away in my pencil case. P.S. A photo where I’m actually smiling! P.P.S. Could we have thought of a better product placement? 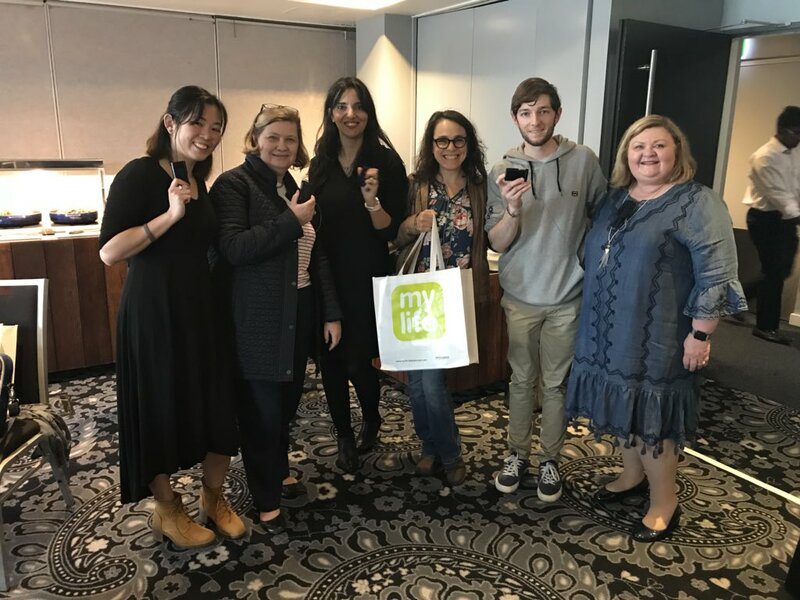 From left to right: Ashley (@hangrypancreas), Melinda (@melindaseedt1d), Renza (@RenzaS), Rachel (@yoga4diabetes), Me (@FrankSita) and CDE Blogger Extraordinaire Jayne (@JayneEdHealth). Will be very interested in your thoughts on this as its a big decision nice to hear from someone actually trying this pump. I look forward to what other people have to say about it. I was on the point of upgrading, but haven’t yet. Bluetooth and apps worry me. They are prone to hacking. I would be interested to know what they say about this, apart from the usual “our pumps are secure”. But wow. Great to have choice. Given the recent Telstra outage, and mobile black spots around the country, I’d be cautious about embracing T1D tech that relies on mobile coverage for the app. Just having my son’s dexcom CGM sharing go down was hard enough. Are there work-around for mobile outages? I am not sold on the lack of a self contained screen. I suppose it can work, but old dogs find it hard to learn new tricks. It is the like the omnipod, I am also unconvinced about it, even though i knwo people love it.